Are you foodie and love to order food online? 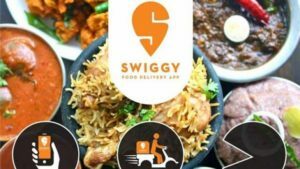 Swiggy India’s one of the best online food ordering app, is offering Flat 50% off upto Rs 100 on your first 5 Orders when you pay using Rupay Cards. Order now. How to get Flat 50% off upto Rs 100 on your first 5 Orders when you pay using Rupay Cards? 7. Select the mode of payment as Rupay cards and complete your payment. Get flat 50% off on first 5 orders. Valid on payments done using Rupay cards.